Shown are Beneteau U.S. sailboat sales manager Chris Doscher (rear, at left); Beneteau America president Laurent Fabre (rear, at right); Dave Fulbright, of Sail Place (front, at left); and Tim Fulbright, of Sail Place. 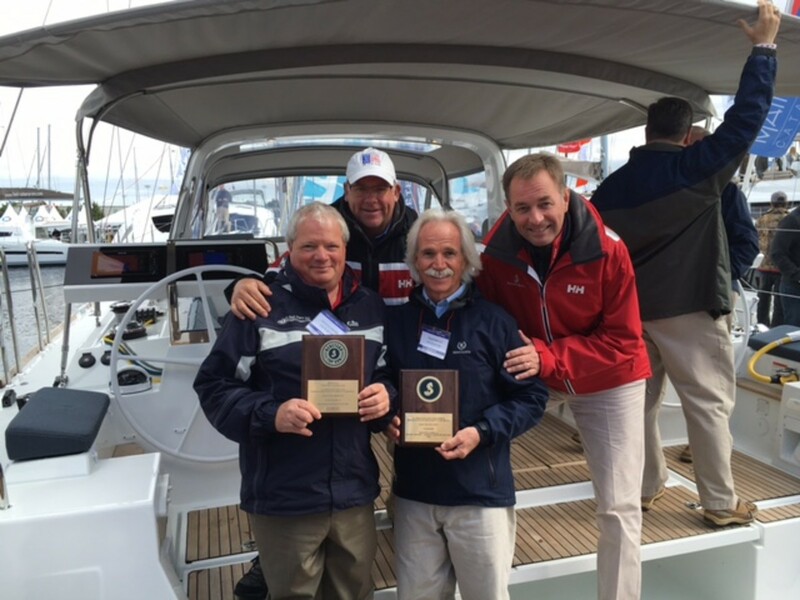 Sail Place has locations in Muskegon, Mich., and Kenosha, Wis.
Chris Doscher, Beneteau’s U.S. sailboat sales manager, and Laurent Fabre, president of Beneteau America, presented Tim and Dave Fulbright with the award at the U.S. Sailboat Show in Annapolis in October. Dave Fulbright also won an individual Beneteau sales award.